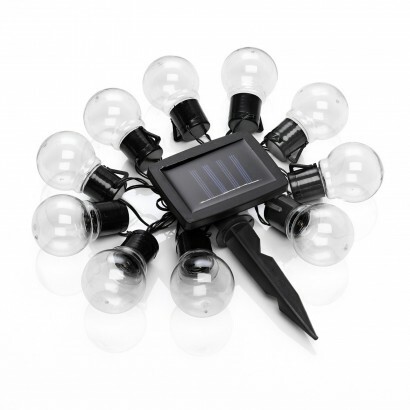 Capture carnival chic and enjoy captivating garden lighting from these solar powered festoon lights. Lit by warm white LEDs, the caps of the festoon lights are clear allowing the light to shine through for maximum shine. 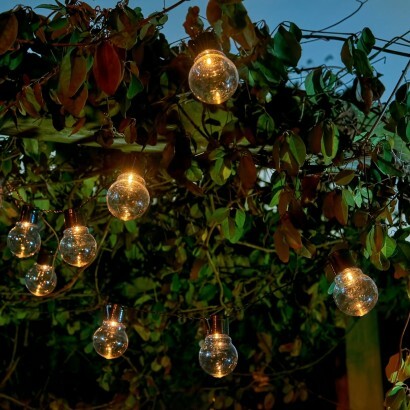 With 2m of cable from the solar panel to the first bulb, there's plenty of lead to allow you to place these lights in darker areas of your garden where the solar panel will still have access to light. Choose from static or flash functions depending upon your mood or occasion and these stunning lights will sense darkness to automatically switch on for up to eight hours a night.